The opportunity to be a qualified RYA yachtmaster skipper working in 2017. 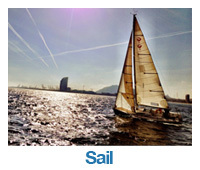 Super deals for new skippers to obtain international commercial yachting qualification. We prep skippers and hostesses for their dream jobs in the yachting industry. Taking their skills to the next level for the opportunity to work with some of the biggest flotilla events and charter companies around the world. If you successfully complete our course we are sure you will get summer work. The Yacht Week are looking for a lot more Yachtmaster skippers. We offer the training to help you get this dream job. The view from one of our instructors boats last year in Croatia. Could you skipper a yacht into this raft? We have a customised Yachtmaster program to help you achieve your goals to become a qualified commercial skipper. We have a plan for you depending upon you experience and sailing . Experienced Sailors but no formal qualifications. The commercial track program can can build on your experience and sea miles. We can offer a 3 or 4 week intense sailing in conjunction with the Skipper Academy, to ensure you are capable of passing your Yachtmaster. Qualifying skipper passages of at least 60 nm Yachtmaster preparation. 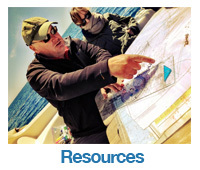 Yachtmaster exam RYA (PPR) Personal professional responsibility course. There is in option for STCW 2010 basic training qualification with an extra week. Eligibility for the level of Yachtmaster exam is dependant upon previous experience and sea miles. We will only take people on this program who have the experience to achieve Coastal Yachtmaster. We have worked with many new skippers form over 35 nationalities, helping them obtain commercial qualifications. This takes longer as it is necessary to build the basic skills and experience. 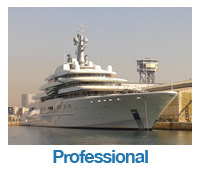 We offer a 2 stage package for people entering the yachting industry. This is customised to meet your personal requirements and budget. RYA VHF short range radio course. Optional STCW 2010 basic training course. Superyacht hospitality course also available. enquire for details. On completing the new skipper program we will help you build your experience and sea miles. We will help in moving to the next step by organising sailing in tidal waters and mile building to become eligible for the commercial skipper program. The concept and experience. Like no other job in the world!